Look to the Stars co-founder Myrlia volunteered with Jack Johnson’s All At Once Campaign at his recent concert in Munich, Germany. 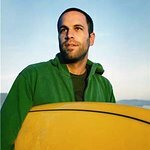 At the age of 17, professional surfer Jack Johnson had an accident which left him hospitalized, and gave him the time he needed to discover that music is where his heart lies. While recovering, Jack wrote songs and played his guitar, and since 2001 has released five albums and built up a huge fan base all around the world. The ocean definitely has a hold on him, though, and in Jack’s relaxed yet energizing music you can almost hear the sound of the cool waves caressing the golden sands of Hawaii. With his surfing past, Jack and his wife, Kim, find it natural to work at educating people about the environment. At each one of his concerts, a “Village Green” is set up, and here a booth for Jack’s All At Once Campaign is manned by volunteers who share the same passion for this cause. Several local charities are invited to set up tables in the Village Green, and help concert-goers learn how they can make a difference close to home. Davis Eckard, who organizes the volunteers for Jack’s concerts, says that Jack and Kim are the driving force behind the All At Once Campaign and the Village Green, and that their enthusiasm for protecting the planet is why Jack spends so much time on the road. Helpers car-pooled, took trains, cycled and walked in from all over Germany for this event, with one large volunteer contingent even coming over from Slovenia. I spoke with New Orleans resident, Mary, and her sons, who were in the area on vacation. Mary signed them all up as volunteers as a surprise. “We come from New Orleans, and we’ve had many volunteers come through. I thought it would be neat to see how we can help give back,” Mary explained. 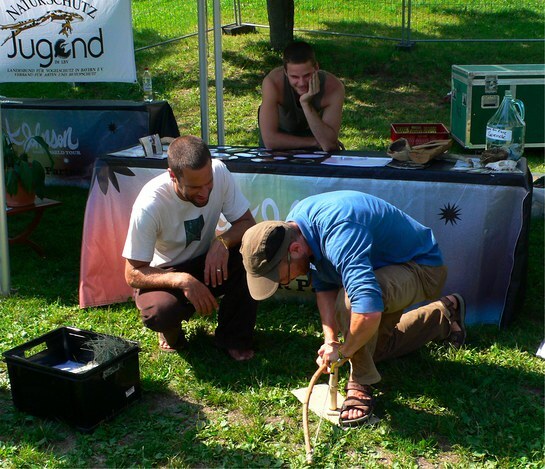 Introducing kids to nature is exactly what one of the local charities, NaturSchutz Jugend (“Conservation Youth”), is doing. NaJu is the biggest environment organization for young people in Germany, focusing on environmental education and nature conservation. They help children experience nature through games and adventures at parks, rivers and in nearby forests. Another charity in attendance was Munich’s Green City. With more than 40 highly-active volunteers, this group works to improve the city’s quality of life through ecological urban planning. The Surfrider Foundation was also on hand to let Jack’s fans know about their Rise Above Plastics campaign. They are urging people to reduce the use of plastics, illustrating the problem using the “Great Pacific Garbage Patch” — an area twice the size of the continental US which is filled with 100 million tons of plastic. Jack greeted the volunteers personally before the doors opened, and spent time talking to each of the charities’ representatives. He ignored the urging of his crew to hurry backstage so the doors could open, and instead graciously listened to the volunteers, posed for pictures, smiled and thanked everyone for taking the time to be there. Once he was backstage, the fans came pouring in, eager to get as close to the stage as possible. It was time for the All At Once volunteers to get to work, handing out Village Green Passports. The booklets explain what the campaign is, and give fans access to downloadable music and the chance to win prizes – such as a skateboard – only available to win at Jack’s concerts, or the opportunity to watch Jack’s performance from the stage. Volunteers enjoyed tunes played by G Love and Special Sauce and mingled with the crowd, sharing stories about Jack’s music and the environment. Veronika, one of the volunteers, said she wanted to meet new people, see Jack Johnson and help protect the environment, and she was easily able to do all three things that sunny afternoon. Sadly, however, the weather didn’t stay nice, and about four songs into Jack’s set it began to rain. But the downpour did nothing to dampen the crowd’s spirits, with the music and cheering drowning out the storm’s thunder. Jack will be back on the other side of the Atlantic starting in August, with concerts scheduled across Canada and the US until the end of the month. For more information about how you can volunteer, visit the All At Once Community.